This is an encaustic and mixed media piece I did last November but I’d never mounted it. 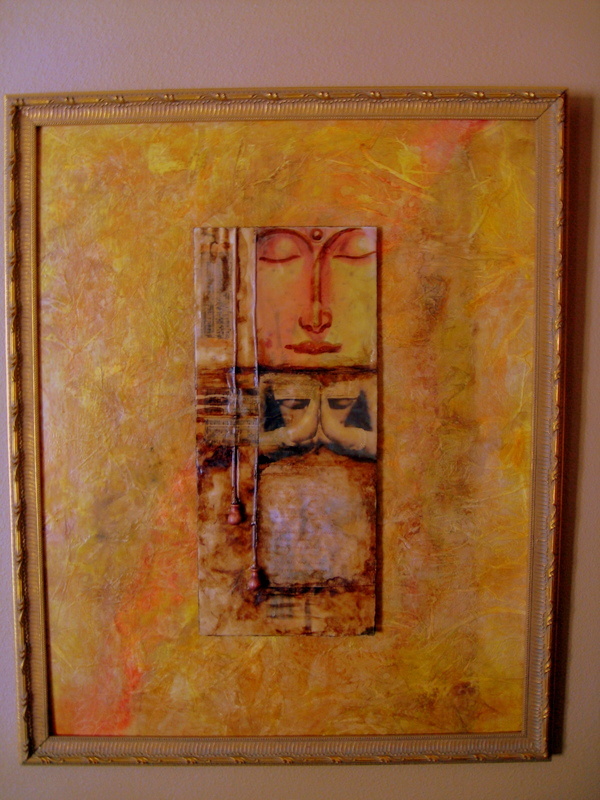 Since I had so much fun working with watercolors and encaustics for Buddha on the Mountain, I thought I’d mount this one on a framed wood panel with watercolor and encaustic wax on crumpled tissue paper. I love the colors and textures that emerged in this process.